Andrea Hurtarte’s art will be exposed at Aqua art Miami, one of Art Basel’s satellites. Her work will be showing from December 5th through 9th 2018. 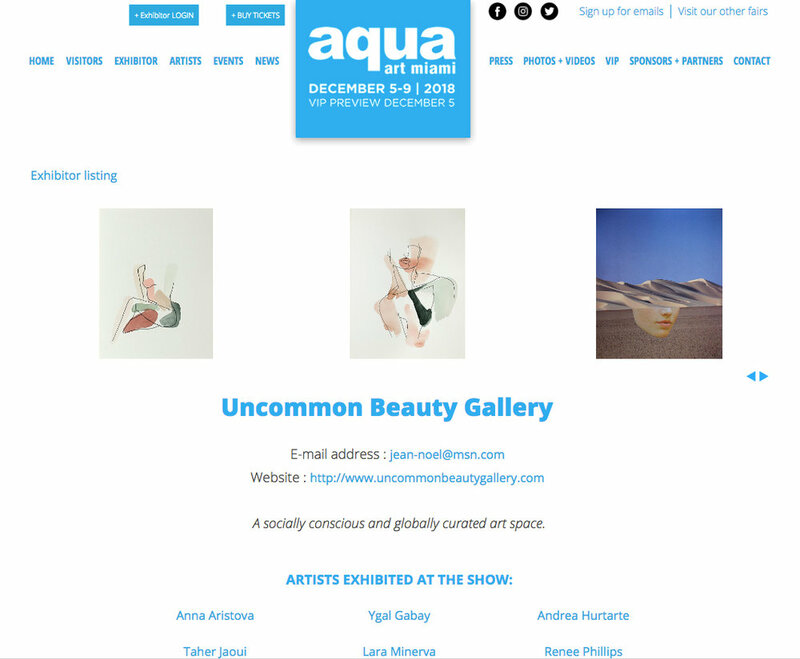 Andrea Hurtarte will be part of an amazing group of artists represented by Uncommon Beauty Gallery @uncommonbeautygallery, an online gallery, based in New York. In honour of the LAUNCH PARTY, she will be showing at the ONE NIGHT ONLY inaugural exhibition, October 18th, 5-9PM, at 198 Allen street - New York. If you are in the area please come say hi! ANML studio is honoured to be among the selected designers and artists participating at the 15th edition of the souk @ sat, from November 27th to December 2nd 2018. For more information on the souk and to check out the other participants, please click on this link. Acheter une œuvre d’art est un investissement. C’est quelque chose qui peut vous suivre tout au long de votre vie et qui peut même prendre de la valeur dans certains cas. Andrea Hurtarte will be at the 2018 Festival Edition of the Puces POP fair, her first market, with anml studio. Come say Hi on September 28-29-30 at 5075 Rivard (basement of Eglise Saint-Denis, in front of Laurier Metro) Free to the public! Looking forward to meeting you! For more info click the link. Anml studio recently created this visual for Noa Vee, an online UK based platform shattering female beauty standards. This piece accompanies an article whiah tackles the issue surrounding toxic beauty standards linked to age. Read the full article by clicking on the following link.